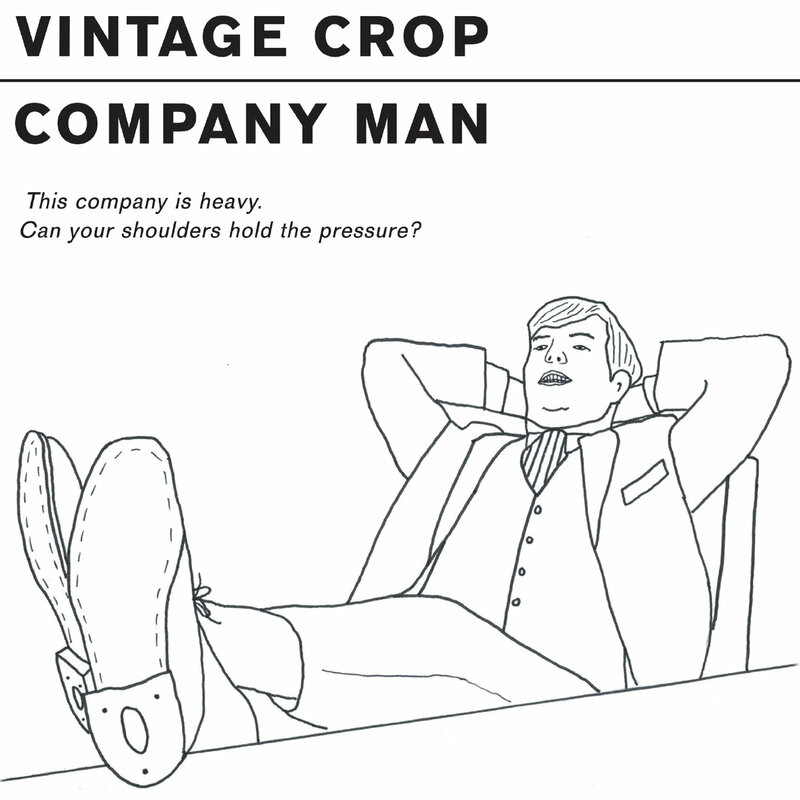 This Noise Is Ours: Vintage Crop - Company Man 7"
I think this is a 7" that many of us can relate too. 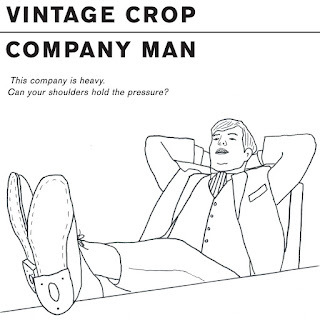 Aussie punks Vintage Crop have just released a new EP that focuses on the unconventional subject of working for the man! It's been released by UK label Drunken Sailor Records and Anti Fade Records, who share their hometown with Vintage Crop. It's also canny timing because the quartet will be touring Europe and more pressingly, the UK in April. They'll be playing shows in Bristol, Manchester, Glasgow, Brighton and London (in that order). The flyer is underneath this review. Vintage Crop’s sound is so much fun. The short and sharp title-track is filled with spoken/shouted vocals and riffs that sit at the rock n roll end of the punk spectrum. It reminds me a little of the music that graced the Grange Hill or Only Fools And Horses theme songs (strenuous links there to classic UK TV shows of the past). Guarantees is no different, as it talks about the frustrations of being low down in the office pecking order. It’s actually really clever and musically Vintage Crop nails it in a simple but very effective way. There’s a hint of bands like The Stroked and The Vines woven into Right To Censor, mainly in the guitar work and the drumming. It also feature the lyrics that appear on the EPs cover. Closing song Stock Options is more laid back and takes cues from surf punk/rock, which is cool. The song is super positive and will definitely leave you in a good mood. Overall, this is a super happy and (slightly tongue-in-cheek) EP. 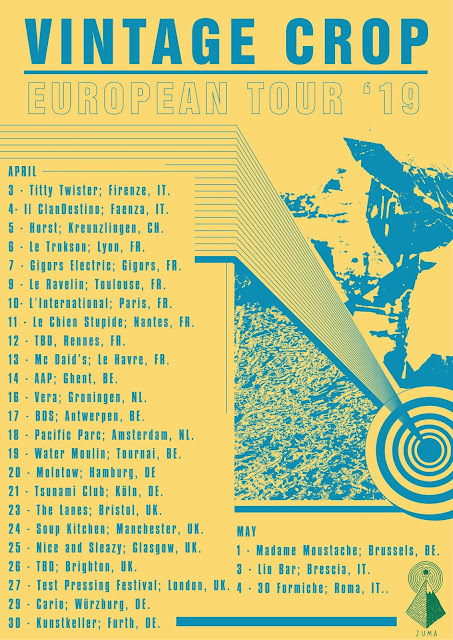 Go get it and check out Vintage Corp when they’re in the UK in April if you happen to be in any of the cities they’re playing in.